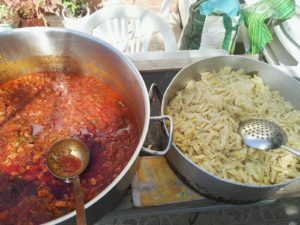 As part of our activities for disadvantaged people, each week ADINTRE distributes a complete menu (main meal, water and bread / dessert) to homeless people in Fuengirola. This year, we have been able to distribute more than 500 food rations, as well as more than 2,500 kilos of food thanks to our own Food Bank. However, it is not a simple process and we need help. To buy food, to cook it, to prepare for distribution,…we do this with limited resources and some volunteers, but if we had more hands, we could do more. Can you help us continue? If you would like to volunteer or make a donation, please contact us. We will be glad to have your support.